Anyone who reads my blog will know I’ve been experimenting with food and cooking at the moment. I’ve recently found Kale which looks a bit like a weed I used to see in the country when I was growing up. But Kale seems to be in everything from smoothies to fritattas so I thought I’d give it a go and made a batch of Kale Chips. Delicious. I kid you not. The bad news was that my husband also loved them and so did the kids!!! (I know – amaaaazing). So my batch of Kale Chips disappeared very quickly. Good news is they are super duper easy to make. If you’ve tried the (packet) Kale Chips from the shops and didn’t like them don’t be put off, they taste much better if you make them yourself. Try this recipe below from Weight Watchers for a yummy snack. 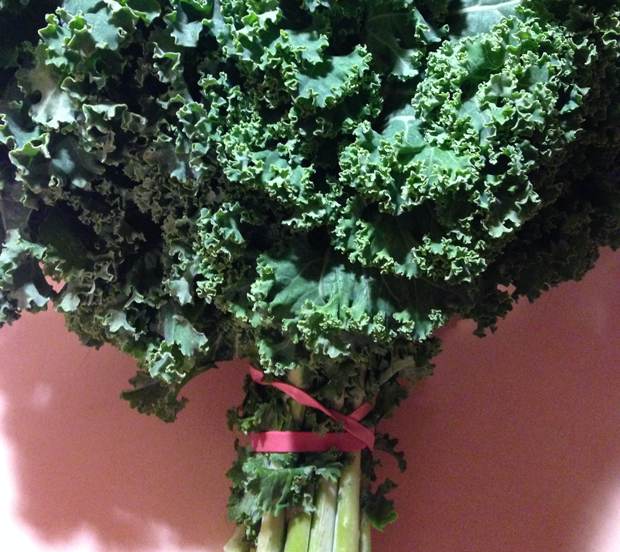 Toss 1/4 bunch fresh kale leaves (torn into chip-size pieces) with 1 tsp olive oil, 1 tbs grated parmesan cheese and a little salt and pepper. Arrange on baking tray lined with baking paper and bake on low for 10 mins or until crunchy.